Plaintiffs throughout the United States have filed lawsuits against Stryker because of its Rejuvenate hip implant product. Many of these cases have been consolidated into a multi-county litigation in New Jersey State Court, and there are currently more than 430 cases pending in coordinated litigation before the New Jersey judge. Approximately ¼ of those cases were filed within the past three months. In October, Judge Brian R. Martinotti issued a case management order to try to work towards resolving some of these pending cases. Our Boston defective hip implant lawyers know that defective medical device cases often settle outside of court if the device manufacturer and plaintiffs are able to agree on the value of the cases and the defendant offers to pay a reasonable sum to victims. The judge’s case management order is designed to help facilitate the parties reaching a settlement, as it outlines the process by which mediation will occur. 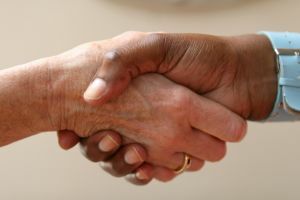 Mediation involves a neutral third party helping plaintiffs and defendants to try to reach an agreement on what the defendant should pay the plaintiffs to settle the claims. Currently, there are 10 cases that have been chosen for mediation in the Stryker multi-county New Jersey litigation. In a multi-county litigation like this one, each plaintiff retains his or her own individual claim, but the cases are consolidated before one judge for expediency. Representative cases can be chosen for mediation and for bellwether trials, which are test cases designed to give the plaintiffs and defendants an idea of how a jury will respond to their evidence. Of the 10 cases chosen for mediation, six were selected by the court. The plaintiff chose two cases and the defendant chose two cases. Mediation was scheduled in two different parts, with Phase I mediation involving these first ten complaints. Phase I mediation is expected to begin by December 15, 2013. The second phase of mediation is expected to occur involving cases filed between April and July of 2013. If an agreement is reached during mediation, Stryker will pay compensation to the plaintiffs whose cases were assigned to be a part of the negotiations. The framework for the settlement could also apply to the additional 430 lawsuits pending in New Jersey, and could perhaps even be a blueprint for settling the additional 350 pending Stryker lawsuits that have been filed in other courts throughout the country, many of which have been consolidated into a multidistrict litigation in the U.S. District Court in the district of Minnesota. If no agreement is reached, then bellwether trials will move forward and representative cases will be chosen to go to trial. At trial, plaintiffs will have the burden of proving problems with the Stryker ASR hip implant systems. Stryker issued a voluntary recall of both the ABG II modular-neck system and the Stryker Rejuvenate system in 2012, and the information from the recall coupled with research linking Stryker to numerous complications that the company failed to warn patients about could be helpful for plaintiffs seeking to take legal action to recover compensation. Stryker Lawsuits Moving Forward as Defective Device Allegations Mount, Boston Products Liability Lawyer Blog, November 13, 2013.